In three separate cases, people were robbed last week between the 400 and 600 blocks of N. State Street, police said. 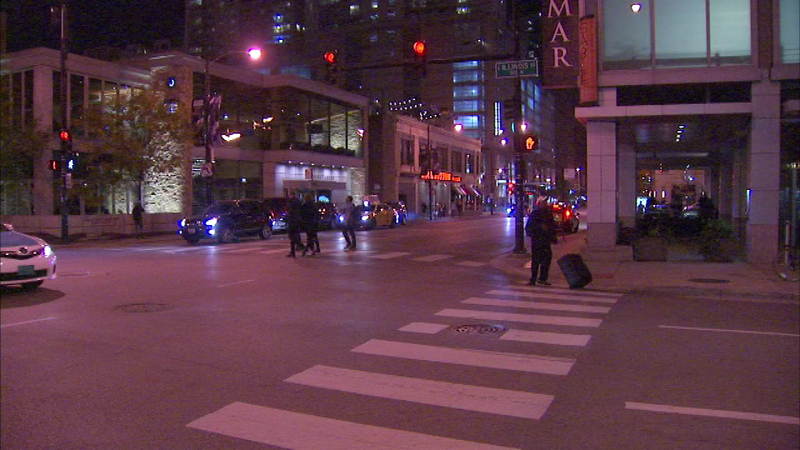 CHICAGO (WLS) -- Police have issued a warning about a string of robberies along State Street in Chicago's River North neighborhood. In three separate cases, police said one or more men walked up to each victim and demanded their property or took it by force. The first victim was robbed in the 600-block of North State in the early morning hours of Oct. 6. The second victim was robbed later that evening, in the 600-block of North State. The third victim was robbed in the early morning of Oct. 10 in the 500-block of North State. Police said one suspect is described as an African American man between 26 and 28 years old who weighs around 190 pounds and is about 5 ft. 10 in. tall. The other suspect is described as a 30-year-old African American man with dreadlocks. Anyone with information regarding the strong-arm robberies should call Area Central detectives at (312) 747-8382.